While cycling in London may be getting easier bit by bit, no one's yet come up with the perfect mapping system. As Ollie O'Brien explains on his blog Mapping London, cycling maps based on road networks are only about 10% useful/90% roads you're not actually going to use. Cycling maps that base themselves on the tube network, on the other hand, can be tricky to follow above ground. But cyclists — hold onto your helmets. 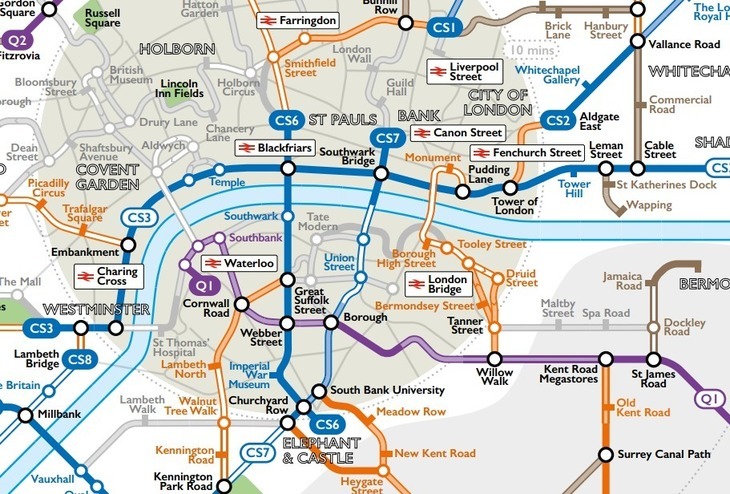 Because London Cycle Network has come up with the best solution yet: a hybrid road/tube map. The main dedicated, protected and otherwise signed routes (such a the Cycle Superhighways) are marked out in bold, colour-coordinated lines. Essentially, these form 'tube' lines into the city, albeit ones you pedal along. As the routes converge on central London, the map becomes more geographical. That way, cyclists unfamiliar with the city can work out roughly where they can expect to end up. 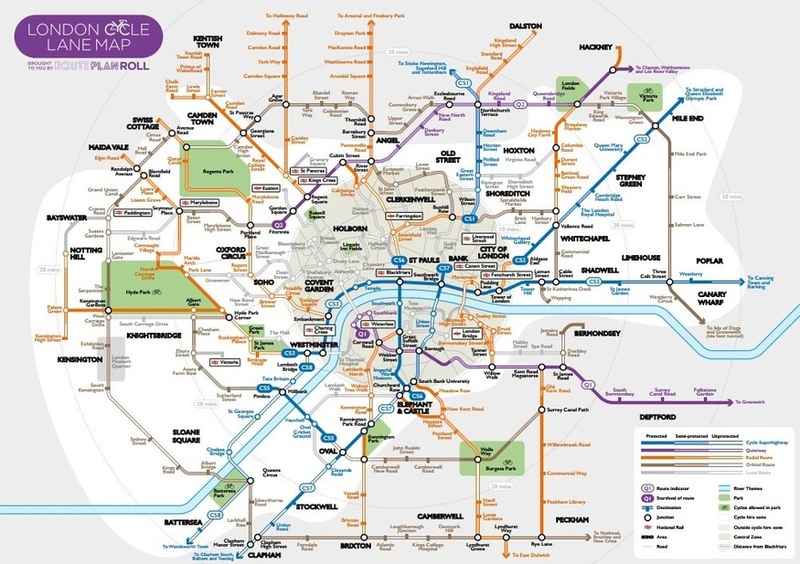 Says O'Brien; "This is probably the best London cycle map we've seen, as it is one that caters both to the aspiring cycle commuter and the tourist that wants to explore London by bike." Just like London's cycling routes, the map is an ongoing work — make sure you've got the most up to date one. Thanks to Ollie O'Brien, a researcher at UCL Department of Geography, for pointing out this map, on his excellent blog.